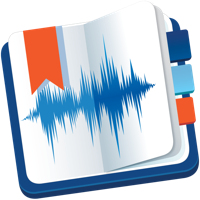 eXtra Voice Recorder is a combination of a powerful high-quality audio recorder and an easy-to-use audio files manager. This handy tool is always with you, so all you need to start recording is to hit a hotkey. You can add notes and photos to each recording, bookmark important parts for ease of navigation, continue recordings and save them directly to the cloud for universal accessibility. A built-in search tool will help you quickly find the necessary recording or its fragment, while the Split function will facilitate splitting recordings in your collection. Integrated flexible categorization and search tools will help you find the necessary recordings in no time. For convenience, you can add comments and photos to each recording. Moreover the app keeps photos synchronized with audio. Mark the most important parts of your recordings with tags and comments. They can be added during recording and afterwards. This will allow you to quickly find the necessary fragment in the future. The Split function allows you to quickly split a recording into several fragments. The sound detector turns the recording on when it detects sounds and turns it off during periods of silence. 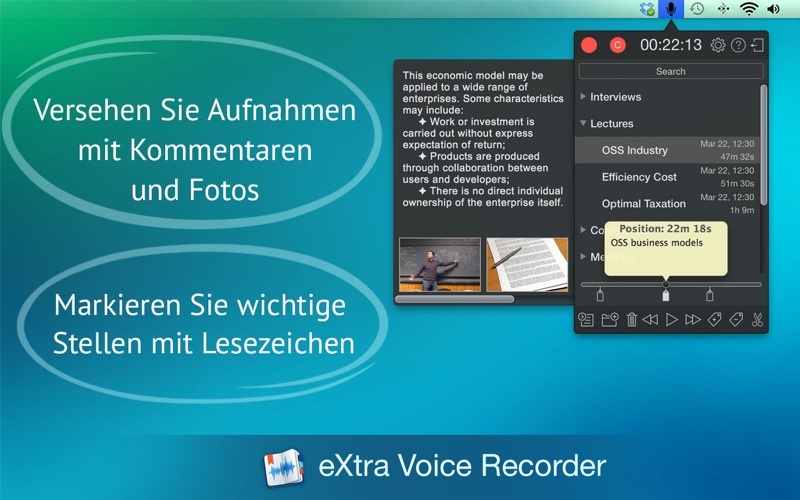 eXtra Voice Recorder allows you to continue previously created recordings at any time. 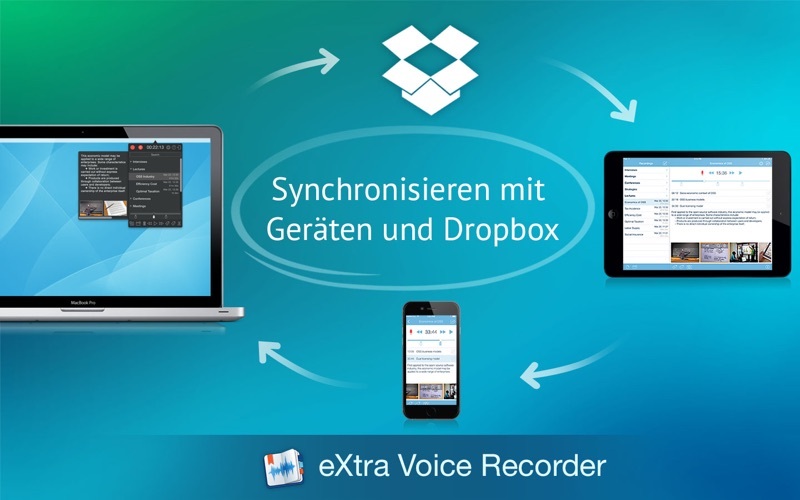 Simply link eXtra Voice Recorder to your Dropbox account and you not only get access to your recordings from any device, but any changes in recordings will be immediately displayed in the eXtra Voice Recorder on your iPhone, iPad and Mac. Now all information about the recording (markers, notes, photos, comments...) is stored in the meta tags and is available from any other application. 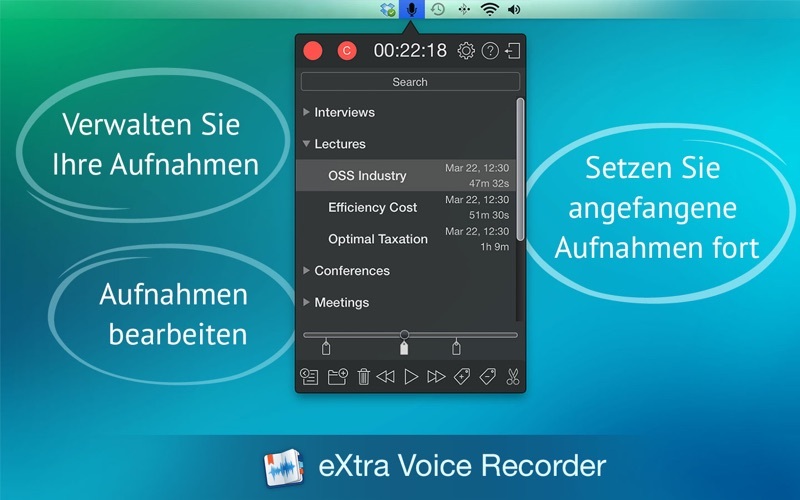 Just drag recordings made in other applications into the program window to add them to eXtra Voice Recorder. 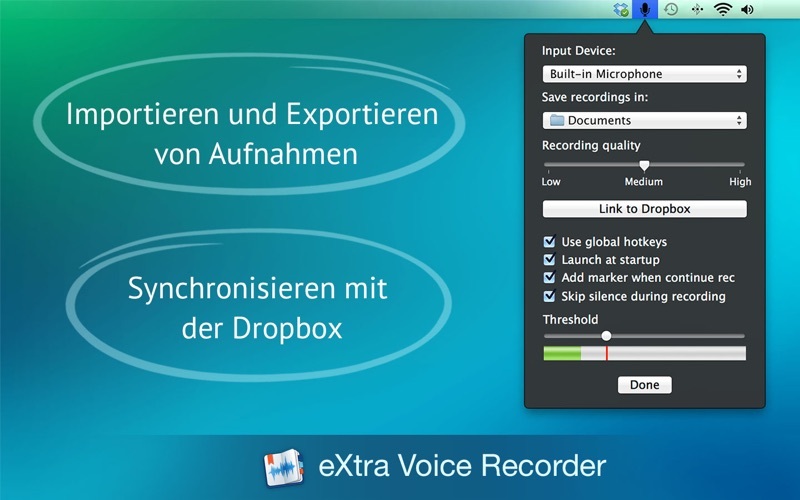 eXtra Voice Recorder allows you to export a single recording or group of recordings to MP3 or M4A (AAC) format. For convenience, you can send one or more recordings via email by making just a few clicks. The built-in search function will help you find a recording or a fragment by name, description or tag. Support of a menu bar icon and global hotkeys enables you to start the recording right when you need it.